I knew him by his recitation of the Qur’an in the tarawih prayers in Ramadan, a small congregation on the plush carpet of an I-House room to which we had gotten the key. Amadou was usually the last to speak but often the first to smile. Between Philister and Jasmine’s antics, Harun and Samer’s cross-ummah commentary, and my mock racist pronouncements, there was always enough banter, politicking and friendly foolishness in that dining hall to smile at. Amadou preferred the status of observer to combatant in these exchanges. While I was there, Amadou was also one of the quieter members of the campus Muslim community. For those of us who knew him, there was so much to benefit from. We had a mini-ummah in International House of Chicago the spring of 2004—two Syrians, a Senegalese, a Pakistani and a Turk—and Amadou was our imam. But people move on, as we did and he did. He kept a low profile, by temperament as well as a pragmatic sense of what he had come to America for. I would sometimes tease him for appearing with his fellow Muslims once a week for Friday prayers, only to pop right back into his chemistry lab where the CIA couldn’t find him. I believe that changed after I left, since I noticed his increased participation on the MSA email listserv. I imagine more people were able to benefit from his attendance at MSA events as well. The thought warms my heart. Death is the one final, unrefutable, irreversible fact. We know of the dead, and know that they outnumber the living. but it is only with the passing of one of our own into their ranks that we are forced to acknowledge death. There was a fleeting moment in which I might have thought of Amadou’s death while he was still alive. I remembered the violent passing of his namesake and fellow West African, Amadou Diallo, at the hands of four mistaken cops and forty-one rounds of New York bullets in 1999. But it was merely the coincidence of names that struck me when I first met Amadou, and I skirted around the actual thought of Amadou dying (since we all know how impolite that would be). And yet the inevitability of death completes the analogy for us: one Amadou follows another Amadou, one violent passing another. 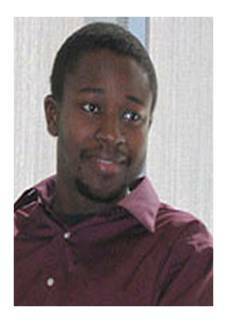 May you rest in in peace and felicity, Amadou, my brother, my friend. God grant him amazing peace and grace, forever. Nice piece, Omer. We moderns are in death-denial. We don’t deny the existence of death; we just don’t allow its prospect influence the conduct of our lives. We suspend reality; We modern don’t want to deal with Allah, morals, or anything. We just want to enjoy life and be left alone. We want heaven when it comes with out any suffering.